At Condray & Young, we offer a wide variety of landscape maintenance services to keep your landscape healthy, thriving and breathtaking. Our professional landscape maintenance technicians use knowledge from many years of experience to make sure plants are kept in the best care. 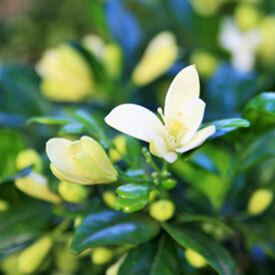 We know and understand all plants and the particular care each variety needs. From proper pruning times, to fertilization and insect control. Our team is trained to make sure every plant in your landscape is thriving. Our team is trained to use only proper pruning techniques. This is important, every time a plant is pruned it can lead to other issues such as disease and pest invasion. At Condray & Young we only use sharp hand pruners to maintain shape and appearance of shrubs and trees. We offer formal shearing services, however, we will make sure that when we use mechanical shears they are sharpened and used correctly. Shearing a plant can cause more damage, and allow for pest and disease infestation. One of the biggest issues with pruning is timing. At Condray & Young our education and many years of experience assures you that we will only prune when the timing is correct. While our team of skilled technicians care for your plantings, they always keep their eye out for potential problems. From insects to diseases, our team is trained on what to look for while servicing any property. Diseases and Pests can be overlooked very easily, which could lead to more problems in the future. If you have any question about a certain plant variety, our staff is always available for consult. Condray & Young offers Spring and Fall cleanup services. 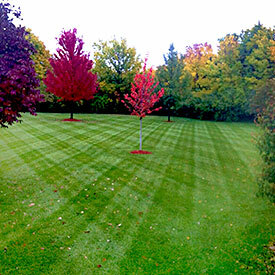 During these services we will complete a 20 point checklist that covers all aspects of your landscape plantings. From plant rejuvenation to trash clean up, our service will get your landscape beds and plantings in shape. Mulch not only adds color to your landscape beds, it helps prevent weeds and retain moisture. At Condray & Young we only use high quality hardwood mulch. We offer mulch in a variety of colors and textures to fit your needs. Each service includes cutting in the bed edges, removing trash, and weeds from beds. This service is offered year around, however, we recommend this service during the early Spring months.